The hotel industry is staying strong based on the power of online channels. This boom in bookings is coming from online travel agents (OTAs), hotel websites (Brand.com), and a variety of global distribution systems (GDS) that simplify stays into quick clicks. These online channels make it more convenient for leisure seekers and business travelers to research, review, and reserve rooms. According to digital data from the TravelClick North American Distribution Review for Q2 2014, OTA channels such as Priceline and Expedia enjoyed a 12.8% increase in second-quarter bookings this year, along with an almost 7% rise in Brand.com bookings compared to the prior year. TravelClick.com posted more on how these online channels are the key to higher hotel bookings. 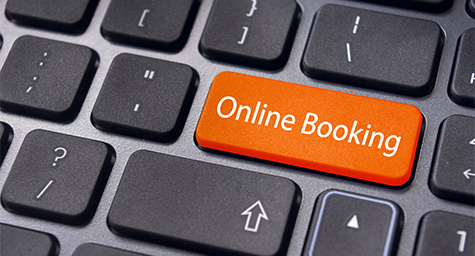 In fact, the global popularity of online booking channels resulted in a 6.8% year-over increase in revenue per available room (RevPAR) during Q2 2014. The second quarter of 2014 also resulted in a 3.7% rise in average daily rates (ADR) across all online channels, with OTA channels reporting a remarkable 10.7% leap in ADR. These OTA channels are looking even stronger in Q3 2014 with an 11.3% increase in ADR so far. And ADR is also going and growing strong across other online channels in this third quarter, with GDS channels up 4.7% and Brand.com already showing 3.8% higher ADR. Clearly, these online channels are helping hotels get back on track. The ease and efficiency of online channels have welcomed a shift in hospitality marketing and a new way of welcoming guests—and they’re helping hotels arrive at success. Stay ahead of the game in hotel marketing. Contact MDG Advertising. MDG Advertising, a full-service advertising agency with offices in Boca Raton and New York, NY, is one of Florida’s top hotel marketing companies and branding firms. MDG’s core capabilities include advertising, branding, logo design, creative, infographic development, digital marketing, creative media planning and buying, radio and TV advertising, Web design and development, email marketing, content marketing, social media marketing, and SEO. To stay on top of the latest trends in hotel marketing and advertising, contact MDG Advertising .